A common perception in multifamily housing is that prospects are most likely to be in the market for an apartment in the summer. While it’s true most leases end in the summer, we wanted to know if the interactions leading up to a leasing decision take place over the course of a greater period of time. We analyzed the monthly averages of key performance indicators across google searches, email campaigns, live chats, Facebook ads and Banner Display ads to get an overview of prospect demand on a seasonal basis. For search, we studied organic website sessions. For emails, we analyzed open rates and click-through rates. For live chat, we observed the number of chats that turned into leads and tours. We looked at google trend data to best understand the difference in seasonal trends based on region and to compare our search traffic results. 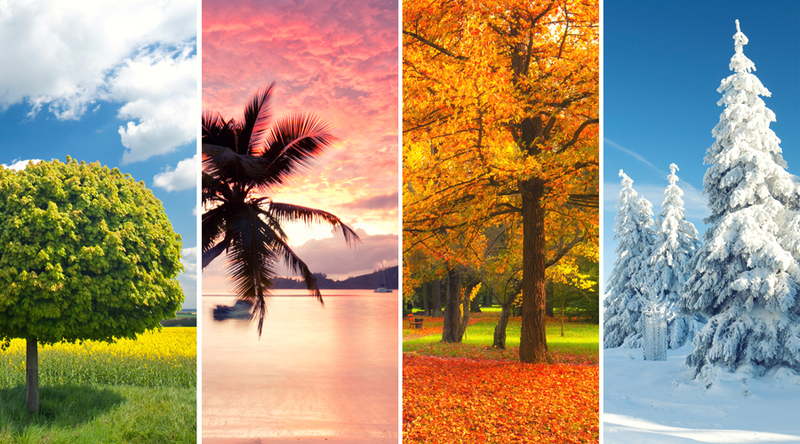 We collected a sample of top performing (by highest click-through rates) social and banner display campaigns for each season and looked for commonalities in messaging and imagery. 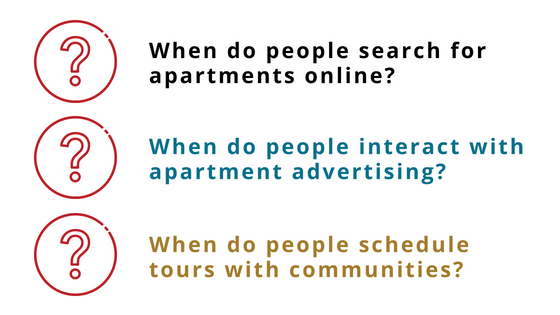 Complete the form to read our entire Seasonal Apartment Marketing Guide!